Richard Lee has enjoyed many business successes. Previously he worked as a technology consultant for an international firm and he was a founder of a very successful Internet business. Now, using the same strategies for success from his previous ventures, Richard has enjoyed overwhelming success in the commercial real estate business, specifically in the Inland Empire area of California. The scope of Richard’s abilities in the commercial real estate industry is not limited. He has aggressively represented both tenants and landlords in single unit and multi-unit industrial properties, as well as representing owners and investors interested in purchasing or disposing of commercial properties. Richard has been very successful in securing investment properties in excess of 50,000 square feet for multiple investment firms and private owners in the Inland Empire area. He has also secured smaller industrial space for manufacturing and distribution firms throughout the area. Richard does not limit his commercial spaces to any specific feature or size, ensuring that the needs of all of his clients are met. Working from a basic belief system that “anything is possible,” Richard has secured some of the most lucrative real estate deals in the Empire area and has won several awards for his transactions. Richard has been the recipient of the prestigious NAI “Capital Club” award given to the top producing brokers every year since 2012. He is also the recipient of the Carl Menzer award for the most deals done in a year. Richard has the natural ability to find the right space for his clients. Using skills he acquired when creating a successful Internet business, he listens to what his client’s desire in a commercial property and searches the area until he discovers the right properties. His impressive negotiation skills ensure that his clients always receive the best deal for their properties. Since 2011, Richard has become one of the most prominent people in the commercial real estate industry in this area. His knowledge and abilities to connect the right people with the right investment or commercial properties will continue to benefit his clients. 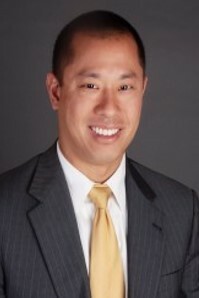 Richard Lee graduated in 1997 with a Bachelor of Arts Degree in MIS/Finance from the University of Illinois – Champaign Urbana.